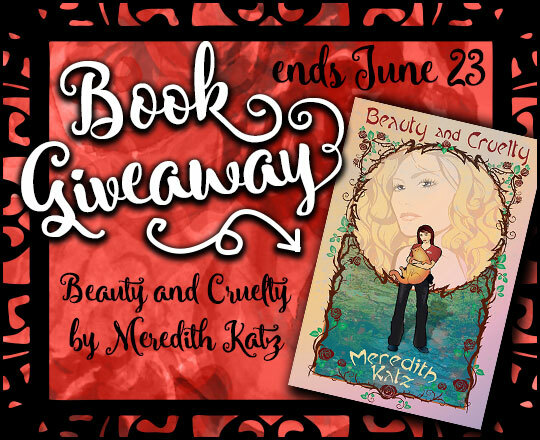 Beauty and Cruelty 6 month anniversary Giveaway! It turns out that the six month birthday of my first book, Beauty and Cruelty, falls in the same month as my (not six month) birthday, and what better present for either of us* than knowing that it’s being read? * That’s kind of a major theme of the book actually, fairy tale characters wanting to know their story is being read. A main f/f ship, along with some side m/m and poly romances. A fat orange cat who just wants to be petted. Pls pet. Y u not pet? An evil fairy who is maybe ready to stop always fighting Sleeping Beauty?? Actually, technically there are two fat orange cats. Use the link below to enter the contest! I’m a new author and don’t have many followers, so if you like what you see, I’d really appreciate it if you would follow me on twitter and tumblr, retweet the link and reblog the tumblr post even if you’re not looking to win a copy—you won’t be entered unless you also fill out the details on the linked widget. Beauty and Cruelty can also be purchased at its publisher, lessthanthreepress, in print or ebook, and at Amazon, Barnes & Noble, and most other major online retailers. Please also consider checking out my recent release, The Cybernetic Tea Shop, about an asexual homoromantic mechanic meeting a cute robot girl, or my upcoming story, The Cobbler’s Soleless Son, about a young man who sets out to romance a demon prince (save 15% if you preorder! ).